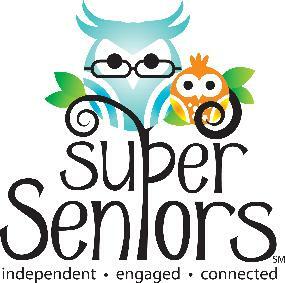 SUPER SENIORSSM -- Independent. Engaged. Connected. Can Junior FIRST® LEGO® League teams improve the quality of life for seniors by learning about the obstacles some people face as they get older? In the 2012, SUPER SENIORS(SM) Challenge, teams will learn about simple machines as they build a model made of LEGO® elements with a motorized moving part and create a team Show-Me Poster to represent their findings. Over 16,000 children ages 6 to 9 from 5 countries will learn about the challenges some seniors may have getting around, keeping in touch with friends and family or staying active and fit. Power Functions M-Motor and Battery Box cost $7.95 each. Optional. Jr.FLL Robotics Kit (for returningteams) costs $175.95. Optional. August 1, 2012 Team registration opens, base kit ordering begins, and SUPER SENIORS Challenge released August 1, 2012. September, 2012 Online Expo launch. April 17, 2013 Team registration closes. Teams are encouraged to organize their own events to share their work with their local communities. An Online Showcase is also available. In addition to the formal Jr.FLL events listed above, many of the Los Angeles Region FLL Qualifying Tournaments and the Championship Tournament can provide informal opportunities for Jr.FLL teams to exhibit between mid-November and mid-December. See the complete list of 2012 Los Angeles Region FLL events. Contact the event coordinator for additional information about each FLL event.